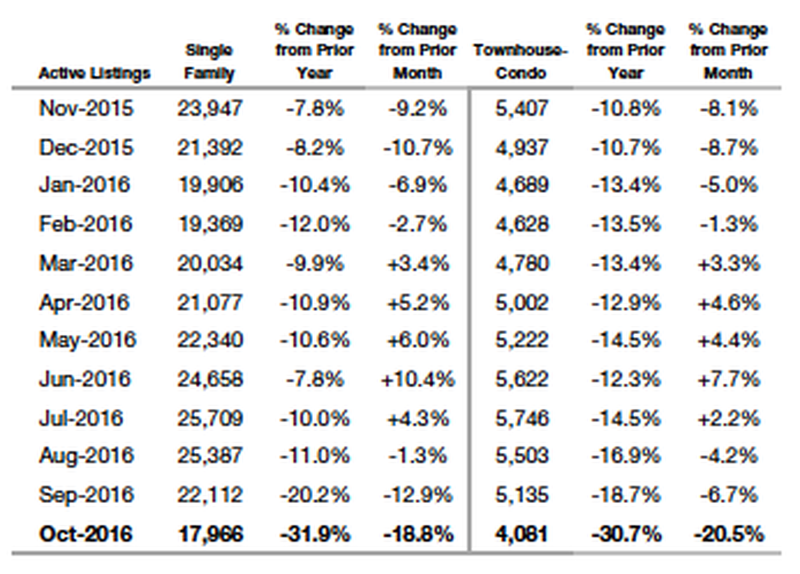 Single family and townhouse/condo listings down more than 30 percent since July peak. 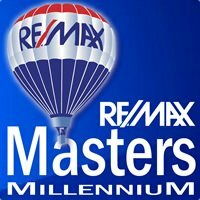 While the median sales price for single-family homes and townhouse/condominium units between September and October 2016 remained relatively flat, $337,000 and $252,000 respectively, a shrinking inventory of active listings across the state continues to play a significant role in the overall housing market, according to the latest statewide housing report from the Colorado Association of REALTORS®. With 7,127 new single-family home listings in October and 2,200 new listings for townhouse/condos in the month, the overall active listings for each category are down more than 30 percent from their July peaks (see the chart below). Overall, there were 23,327 homes on the market in October across the state, the lowest total in the prior 12-month period, providing just a two-and-a-half-month supply of single-family homes and 2-month supply of townhouse/condominiums.